"Read online that everyone's worried. Don't be, I feel that's not a big issue. It is also precisely because of that, so I am able to be here now for the Japan tour, right?" Throughout, HJ made no direct mention of the drama nor say the name City Conquest. He'd only referred to it as 'that'. But we all know. 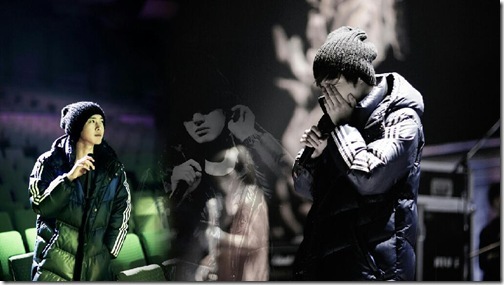 HJ knows of our worries, and we know of his heart. 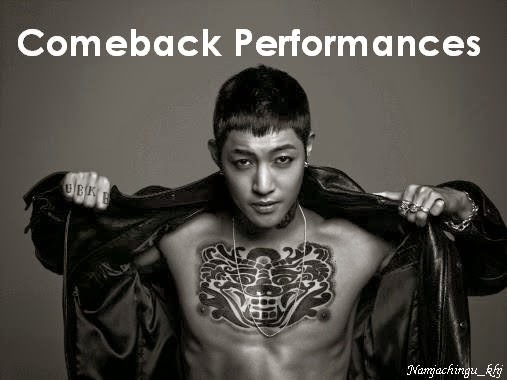 KHJ, "The next song is a new song." everyone went, "Ay...?" and thought that HJ was gonna sing something he's not sung before. Then HJ said, "Your story." Fans all thought they were being teased and taken for a ride. When HJ saw everyone's reaction, he just stood there and laughed heartily by himself. Naughty oppa! - "There are many upsetting things in life. It has been like this up until now, and will continue to be so in the future. But, just like this... everyone's here and I'm here; we respect one another and we also rely and seek solace from one another, so we will feel that even upsetting things are no big deal." this is the complete version that a japanese fan has shared with me, and she said these words were the most touching to her. Everyone faces difficulties sometimes in life. In case I have such hard time in future even it may be tiny thing or something a bit difficult, if you and I respect and need each other, nothing will be so hard. I know that having read the articles via internet, many of you worried about me. But I think that it is not a big issue from my viewpoint. I would say that because of that, now I can have this Japan tour, right ? So, I always think in a positive way, which, I believe, will bring me only luck (good news, good opportunities, and so on). In future as well, there is nothing except for this (live) what I can do. I will not do anything except for this. So I hope that you will watch myself in a long term. I think that I have been running through without any rest. Looking back the path I ran through till now, it was a long long way. It seems that I had been looking just ahead of me. However, I think that I have to walk the future path which I cannot see how it will be, looking around well with deliberate steps. If you hold hands with me and walk together, I think that the road I walk from now on will be much refreshing one. When I feel hard and tiresome, if you, who always believe in and love Kim Hyun Joong, will reach out your hands, I will never release them. Shall we try to walk ? Slowly, without any hurry. ＊ During the talk session in Saitama, he said that he “cannot release your hands” ,in stead of “ I will never release your hands “ .